I have an open mind, a desire to understand, and a recognition that I might not fit in. These were a few of the thoughts running through my mind as I flew across the Pacific for a six-month study abroad program in Singapore. In preparation, one of the first warnings I received was to anticipate a sense of disorientation to accompany complete immersion into a foreign culture. In a separate but similar experience, I flew from my small Midwestern town to a coastal city to visit my best friend and I felt these same things. She and her family are Pakistani, and although I had not left my country, I had definitely left my home. In both instances, foreign culture surrounded me. In each case, I arrived with excited warmth for the people I was about to meet, friendly curiosity about new cultural norms and expectations, and a humble acceptance that I was out of my element. At the time, while I did not realize it, I was honing my skills as a citizen diplomat. What a joy it is to have friends come from far away places. Being a citizen diplomat implies making a conscious effort to be open to new cultural experiences and to better understand our differences and similarities. Sometimes the most surprising thing about engaging across cultures is the realization that we are not so different after all. Citizen diplomacy can occur at a soccer game, over a shared drink, dancing, or even on a bus ride. Cross-cultural engagement can be as simple as an introduction or a greeting, or as deep as making a lifelong friend from a different background. Experiencing other cultures without leaving your city can be as impactful as flying overseas. The takeaways from these interactions are myriad, but at the core it’s about learning from one another, the growth of understanding, and changing one’s perspective. Being a diplomat, a citizen diplomat more specifically, is not as hard as one might imagine. Citizen diplomacy happens every day, whether you travel 9,000 miles from home or just to the other side of town. Citizen diplomacy is not something that happens to you, it requires a conscious effort to make meaningful cross-cultural interactions. This summer we are collaborating with The Center for Citizen Diplomacy to bring you stories and insights on these interactions, experiences, and learnings, and the profound impact it can have. Join in our Summer of Citizen Diplomacy to see why this journey of discovery is so important. 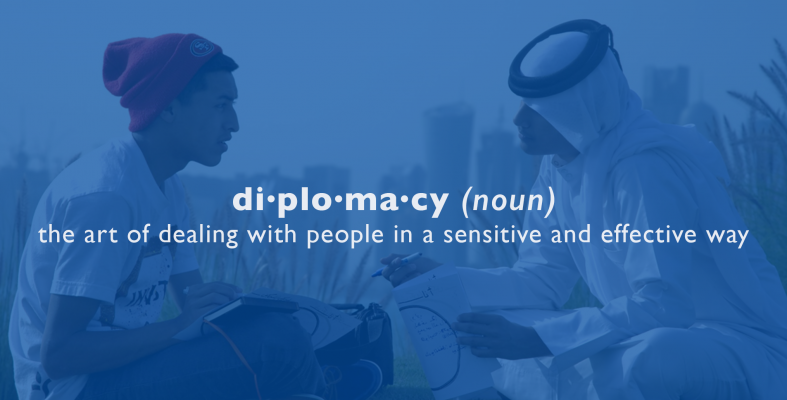 We encourage you to follow along and see the different ways people act as citizen diplomats by using #CitizenDiplomacy. Share your stories of citizen diplomacy for a chance to be featured in the campaign. A better understanding of one another breeds more effective communication. The Center for Citizen Diplomacy works year-round to promote cross-cultural engagement as a starting point to solving some of our biggest global challenges. How are you a citizen diplomat? What have you learned from your cross-cultural exchanges? Will you share your story?